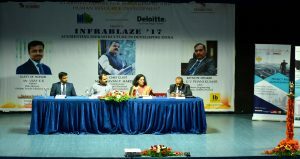 The Infrastructure Committee’s flagship event InfraBlaze is now in its fifth iteration InfraBlaze’18. The event aims to bring together respected government dignitaries, industry stalwarts and policy advocacy bodies from the infrastructure sector on a common platform to discuss about the lacunae in development of the sector. The event entails five sessions with experts from the industry presenting their insights into the fundamentals of their respective domains while highlighting on the complexities and challenges associated with them. Acceleration” which covered challenges associated with surface transportation and the energy sector. 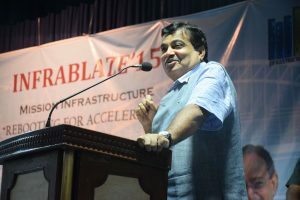 This year the theme revolves around “Reviving Private Participation in the Development of Infrastructure in India”. One of the sessions will be devoted to the subject of “Augmenting Public Transportation System for Indian Cities” deliberating upon the intricacies of the enterprise and future innovations. Another session will focus on “Private Participation in the Oil &amp; Gas Industry” whilst the locus of discussion for another shall be “Need for Institutional Strengthening of State Road Development Boards/Agencies for Faster Road Network Development”. The other sessions will speak about “Relevance of Project Management and Procurement as a Critical Factor for the success of the Project” and “Contractual Challenges for Infrastructure Projects”. Our honourable chief guest, Shri Kiran Gitte (IAS), Metropolitan Commissioner and CEO, will be presiding over the event.